Disputes over land and resources are an important source of deadly conflict. They may stem from land grabs, boundary disputes, displacement as a result of man-made or natural disasters, government resettlement policies, climate change or other factors. They are often made more complex by the multiplicity of actors and economic interests involved, and both the drivers and actors involved may change over time. In Indonesia, three kinds of land conflict are particularly prominent. The first involves local communities denied access to or otherwise excluded from land by agribusinesses or extractive industries to which the state has granted concessions. Violence often breaks out at the point the community organises to defend the land against clearing or to resist eviction, but most of these cases are extremely complex and do not fall easily into simple narratives of good farmer vs bad company. A second type of land conflict involves disputes related to Indonesia’s process of administrative fragmentation, known as pemekaran (literally, blossoming) through which a group of subdistricts can petition to become a new district (kabupaten) or several kabupaten can petition to form a new province. The criteria for economic viability laid out in regional autonomy laws and regulations are frequently ignored, and in many parts of Indonesia, the new units are created not so much to bring government closer to the people – the original rationale – but to allow a group previously under-represented in local government to have a chance at access to spoils. In eastern Indonesia, many of these new units are drawn along ethnic lines. The disputes arise when borders are not carefully drawn and resource wealth has to be divided, or competition emerges for which town is to be capital, since land values often skyrocket. A third kind of conflict involves disputes over land between indigenous peoples and migrants from elsewhere in Indonesia. 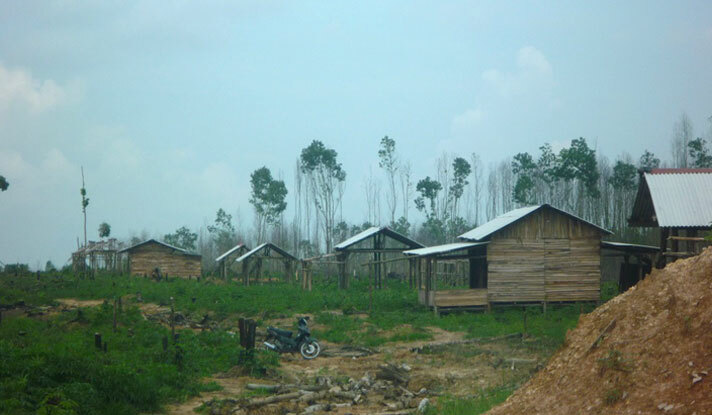 In some cases the disputes go back to land taken during the Soeharto era for the vast official resettlement program known as transmigration, but many cases involve more recent migrants, coming on their own in search of economic opportunity. All of these conflicts are often complicated by unclear or overlapping lines of authority among different ministries and different levels of government; historical injustices that are often difficult to sort out, let alone redress; the involvement of private security forces; poor dispute resolution mechanisms; and corruption. A key task of analysis is thus to start with a clear mapping of actors and the evolution of the dispute over time and then to try and break down the issues into component parts that are more susceptible to short-term solutions.